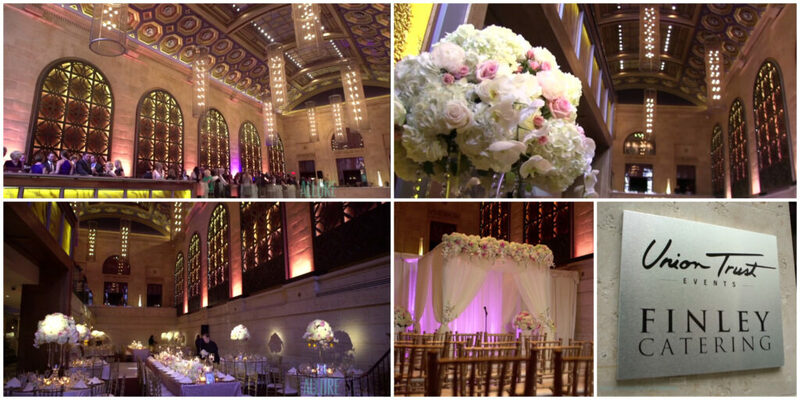 Have you ever taken a look at a wedding at Union Trust in Philadelphia? Well, here’s your chance! 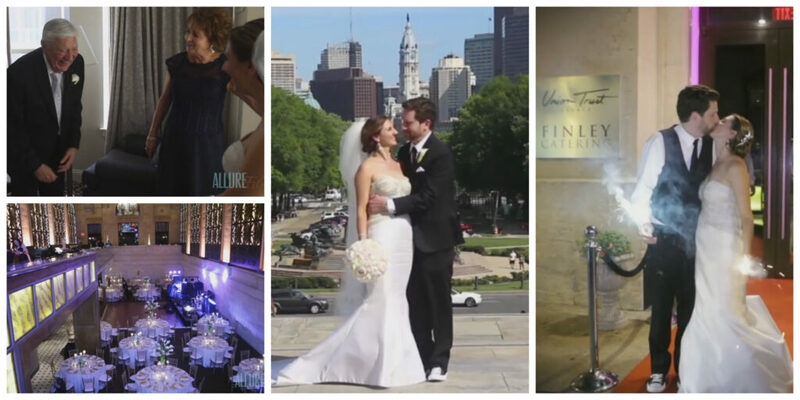 Join Allure Films as we look back on Rachel and Sam’s perfect wedding day, held at Union Trust in the heart of Philadelphia. With sky-high, illuminated ceilings, accented walls, and a balcony with a breathtaking view, this venue is sure to capture your heart. It certainly captured those of the guests at Rachel and Sam’s big day! Rachel and Sam’s first reveal was such a great moment to be a part of. It’s always so emotional when the groom gets to see his bride in her dress for the very first time. That time together before saying “I do” is truly something special to be a part of. Union Trust, operated by Finley Catering, is a venue that can be used for every aspect of your wedding. Watch as Allure Films captures Finley Catering’s flawless transformation of the ceremony space into an expansive reception hall, complete with a dance floor that remained packed all night long! Congratulations to our newlyweds and thank you for letting the Allure team document your big day! Your wedding day is the perfect opportunity to let your personalities shine. Katie and Ryan are such a fun-loving couple, we knew their big day was going to be a blast! Allure Films was there to capture their breathtaking Union Trust wedding. This brand new venue, located in Philadelphia’s Historic District, is the perfect blend of vibrant and chic – it was such a fitting place to celebrate Katie and Ryan’s big day. The Allure team was joined by Baiada Photography, whose talented photographers helped document all of the day’s precious moments. After the ceremony, guests arrived at Union Trust ready to party! BVTLive’s very own Big Ric Rising had everyone out on the dance floor. We were impressed by the moves that some of the guests had! Carl Alan Floral Designs did a fantastic job decorating the venue…they never cease to amaze. Guests were in awe of the setting, which fit perfectly with Union Trust’s beautiful architecture.